Miska grew up in Vaasa (Finland), and became a believer when he was eighteen. Soon after, in 2008, he moved to Tampere (Finland) to be a part of the fellowship at International Baptist Church (IBC). While serving at IBC, Miska's desire for pastoral ministry and the church's recognition of that became clearer. After meeting his wife, Alison (from England), and living in Wales for two years, the Wilhelmssons were finally able to come and attend The Master's Seminary in 2014. Coming to TMS was a dream come true. Miska is now the first Finnish graduate of TMS and, Lord willing, not the last. 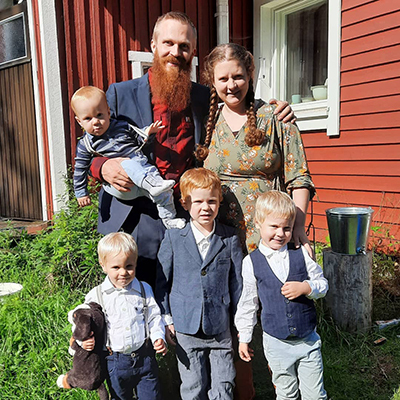 After graduating with his M.Div., Miska and Alison (together with their boys, Jeremiah, Simeon, and Zakarias) have returned to Finland for gospel ministry. The Wilhelmsson's returned to Tampere, Finland in July 2017. 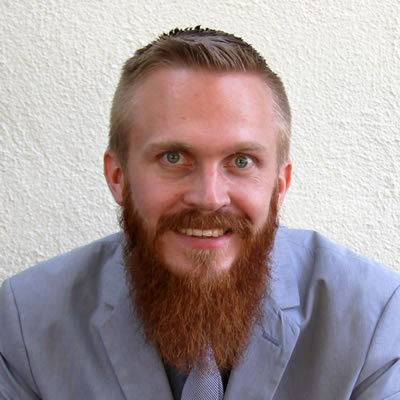 Miska is excited to begin serving in pastoral ministry at his home church (IBC Tampere). Due to challenges of ministry in Finland and a low number of church members, IBC Tampere is not yet a fully self-sustaining church, and therefore unable to financially support a pastor. Thankfully the church is able to cover all the meeting place costs. To serve in pastoral ministry at International Baptist Church of Tampere. To help in publishing biblically sound material in Finnish. To invest in the training of national pastors in Finland, with the possibility of starting a pastoral training center. One-Time Donation. Make a one-time donation by filling out the form at the top of this page. Credit Card Monthly Giving. If you would like to set up a recurring credit card donation to support the ministry in Finland, please fill out the form at the top of this page. The amount selected will be automatically withdrawn from your account once a month. Monthly Direct Deposit. To set up a monthly direct deposit, print this form and follow its instructions (Use missionary project "Finland Mission").